A clothing store called North Star, situated in Dvoriya, an Arab village in the Galilee, sold jeans, shirts and other items of clothing bearing the Tommy Hilfiger logo. The police raided the shop and confiscated 73 items of clothing that Tommy Hilfiger’s representative deemed to be fraudulent substandard articles. Hilfiger sued claiming trademark infringement, passing off and unjust enrichment, requesting statutory damages of NIS 100,000. However, the vendor Tsuna Shahidi claimed to have purchased the garments from wholesale market vendors in Tel Aviv and Jerusalem, and not to have been aware or interested in the designer logo and requested no fine, or a minimal symbolic fine. The goods were purchased for a total of NIS 1400 which is an average of NIS 20 (about US $5-6) a piece. 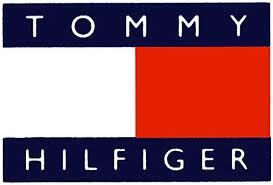 Original designer Tommy Hilfiger goods retail in Israel for 10 times that price. In ruling, the judge, Deputy President Isaak Cohen of the Nazareth District Court considered the selection of so may garments all showing the same designer label and all purchased so very cheaply as undermining the vendor’s claim of ignorance. Furthermore, citing various precedents and the relevant textbooks, he established that ignorance and lack of intent was not a defense, and that the standards of equitable behavior required were objective and not subjective, so the actual intention of the vendor is irrelevant. In ruling, the Judge noted that there wasn’t proven damages from passing off, but noted that copyright infringement was also grounds of statutory damages. Using judicial discretion he ruled damages of NIS 50,000 and legal fees of a further NIS 10,000. Finally, Judge Cohen gave an injunction against Shahidi, preventing him from selling goods with the Hiflinger logo. The case: T.A. 26614-07-10, Tommy Hilfinger et al. vs. Shehady.